We hear a lot about vitamins and minerals such as B12, folate, magnesium, vitamin C, and so on, but there seems very little talk these days on the importance of dietary lecithin and choline. Are you consuming an adequate amount of acetylcholine, or other phospholipids? The odds are that you are not. The human body produces choline by methylation of phosphatidylethanolamine (from dietary sources such as lecithin and others) to form phosphatidylcholine in the liver by the PEMT enzyme. 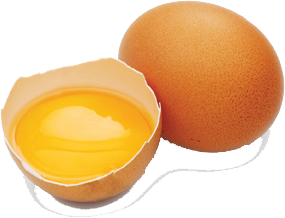 Phosphatidylcholine may also be consumed in the diet or by supplementation. Choline is oxidized to betaine which acts as an important methyl donor and osmolyte. For those wanting to see how this relates to the methylation cycle, below is a nice graphic (courtesy of Wikipedia). It is well known that magnesium deficiency is widespread (57% of the population does not meet the U.S. RDA according to the USDA), but the numbers for choline deficiency are even more shocking.